Create a surprise center by adding your favorite fillings to the inside of your cakes! Bake your cake in the Mrs. Fields Fill N Flip™ according to the recipe. When it’s cool, flip the cake over and add filling – pudding, fruit, compote, anything you choose! – to the side with the large opening. Then flip the non-filled cake on top, and you have an amazing layered cake your friends and family will love! Combine cake mix, eggs, water, and oil according to package directions. * You will only need ½ of the second batter. 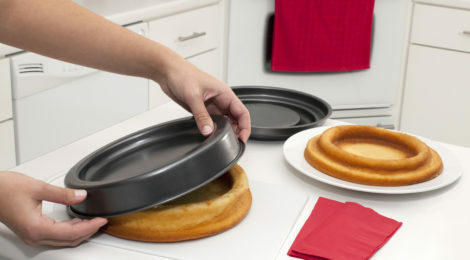 Fill each side of the cake pan molds -each pan should be filled ¾ of the way with the batter (the center area must be fully covered of each pan). Bake until center springs back or until the center is firm and a tester come out clean. Using a spatula loosen the sides for easier removal. 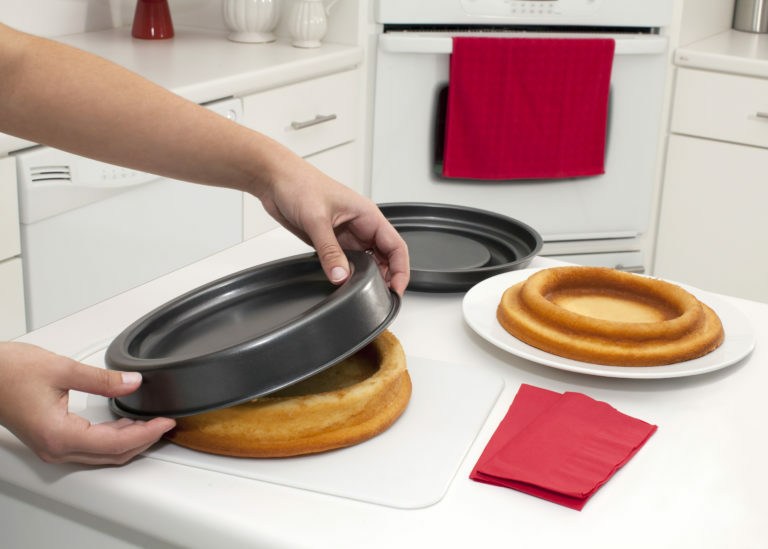 Flip each pan over to remove the cake. Cool completely before adding the Easter Candies filling. Chill in the refrigerator at least 2 hours, up to overnight to firm. 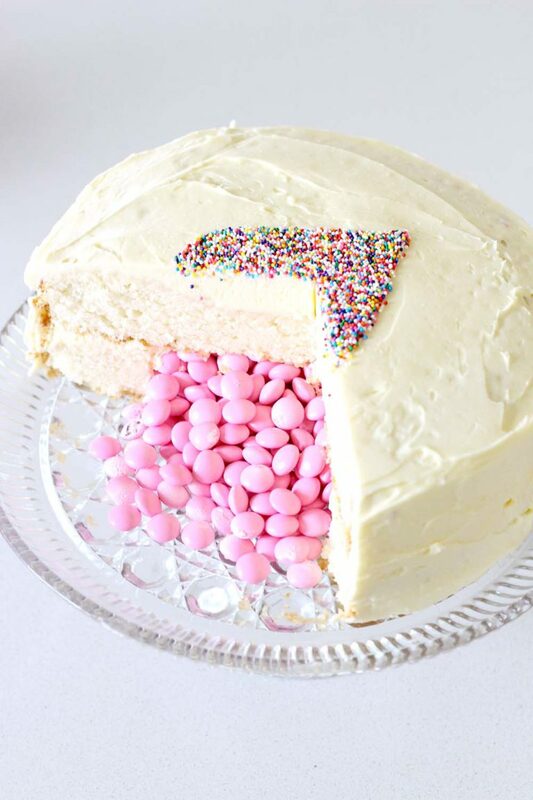 The side of the cake with the center open should be filled with your filling. Top with the other baked cake which will cover your filling completely. Ice and decorate as you wish before serving.